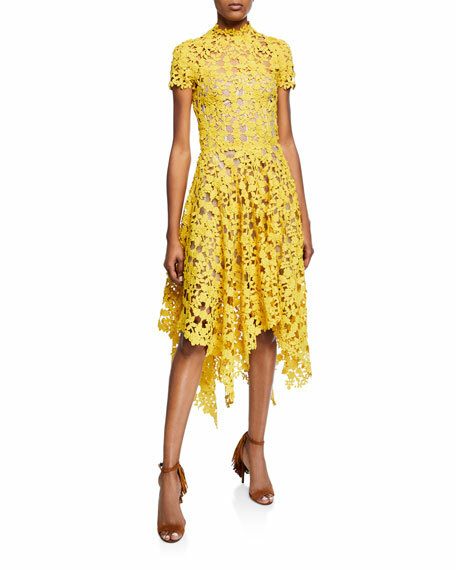 Oscar de la Renta cocktail dress in rose trellis guipure lace. For in-store inquiries, use sku #2890305. 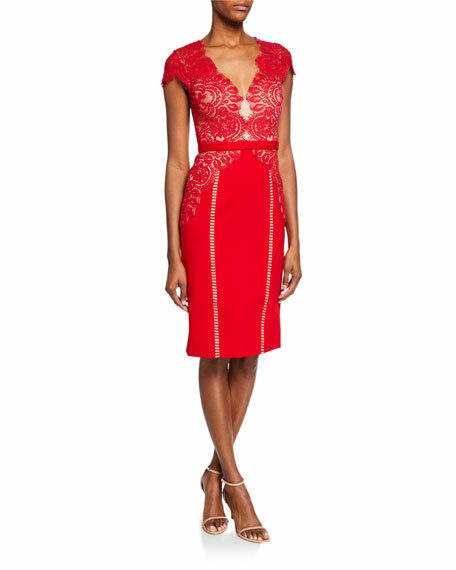 Milly "Nickie" embroidered tulle dress with sheer yoke. Crew neckline; button keyhole back. Cap sleeves. Sheath silhouette. Mini length. Sheer, even hem. Hidden back zip. Nylon. Dry clean only. Made in USA of imported material. 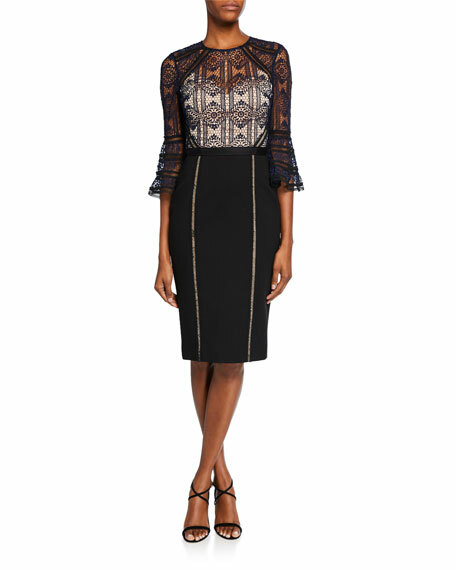 Misha "Fiona" sheer floral lace mini dress. Approx. 34.8"L down center back. High-jewel neckline. Short cap sleeves. A-line silhouette. Hidden back zip. Tiered lace skirt. Scalloped trim. Nylon/cotton self. Polyester/spandex lining. Dry clean. Imported.